Although many people regard lawn mowing as a tedious chore, we know how important it is to have a precisely mown lawn that enables you to enjoy the beautiful landscape and and minimize the weed growth. 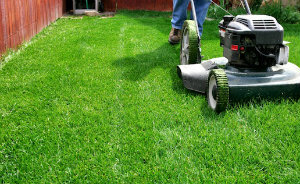 If you are looking for someone to perform the lawn mowing on your behalf, don’t hesitate to contact us. 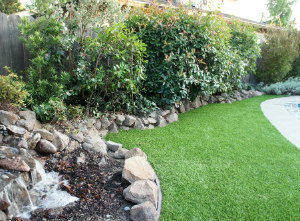 We offer the entire range of gardening maintenance procedures and we take pride in delivering second to none quality. Our teams of professional gardeners cover all London areas, including Wimbledon SW19. They are at your disposal seven days a week. There is a wide number of companies, providing lawn mowing services in Wimbledon, but those that can take pride in delivering outstanding quality at a competitive price are few. If you are looking for a company offering a combination of sensible prices and second to none quality, you’d better call us now and check which is the most convenient time slot available. If you have ever had to mow the lawn by yourself, you probably had to deal with bald patches after that. The reason is that the inappropriate height of cutting the grass causes such troubles, not to mention it makes the weed growth more difficult to control. Since our foundation, we have always been striving to exceed customers’ expectations as far as quality and affordability are concerned. We managed to build a solid reputation as a leading provider of gardening services in the area. In case you want to get rid of the overgrown grass without putting efforts into performing the lawn mowing on your own, all you have to do is to get in touch with us and discuss the availability of our gardening experts in SW19 London with our call centre supporters. They will be glad to answer your additional questions and make a booking at the most convenient to you time. Copyright © 2019 Sophie's Cleaning. All Rights Reserved.